← Wordless Wednesday: who would do such a thing to this innocent Chicago pothole? 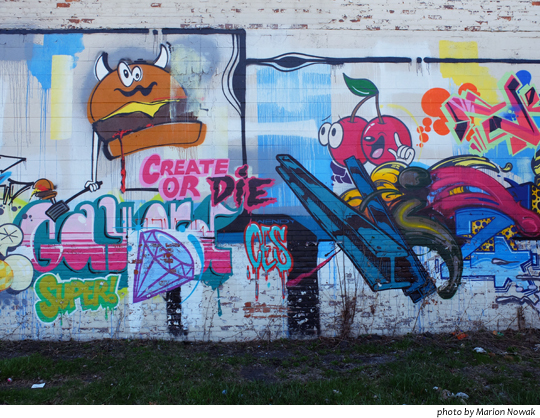 This entry was posted in Uncategorized and tagged Detroit graffiti, Joseph Campau, panic button Monday, Precision Tools mural. Bookmark the permalink.